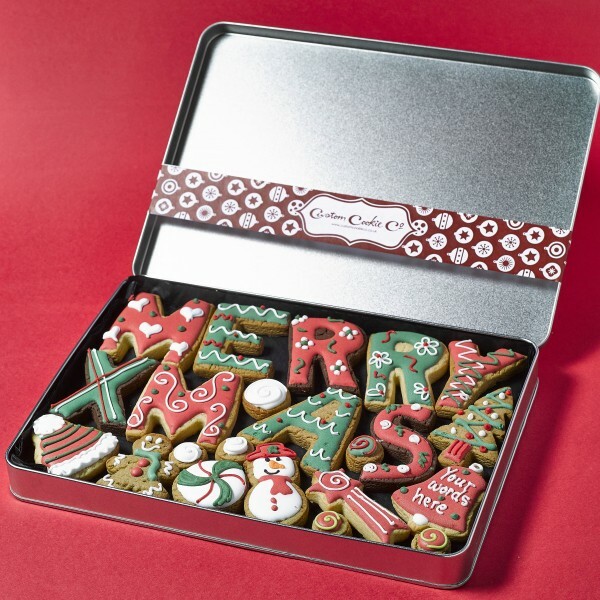 These hand decorated festive cookies are presented in a premium gift tin. The bell cookie can be personalised with up to three words and the tin also contains a ribboned gift tag bearing your special message. Celebrate Christmas with some tasty treats, either for yourself, your colleagues or your loved ones.